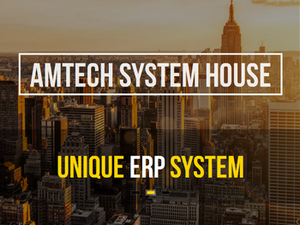 The Amtech System house was founded in 2009 as a legal successor of Admin-Soft limited (2005). Our company has more than 10 years’ business development experience in all and works with 19 employees (project managers, developers, testers, experts, etc.) Company Portfolio / Website Our exclusive mission is to develop and implement business applications with unique functions. As a result of our work, the client doesn’t have to use Excel tables and also has a chance to eliminate any obsolete software. These easy-to-use applications are custom tailored to always meet the customer’s requirements. Of course we also maintain the software in this ever-changing world. What Is The Best CRM For Marketing?